2017 JC Williamson Award Recipient Announced! Andrew Kay AM, President of Live Performance Australia, today announced that Richard Tognetti AO, Artistic Director of the Australian Chamber Orchestra, will be the recipient of the 2017 JC Williamson Award®. The announcement was made at rehearsals with the orchestra. The Award will be presented to Richard Tognetti at the 2017 Helpmann Awards Ceremony on Monday 24 July at the Capitol Theatre, Sydney. Andrew Kay AM said “The JC Williamson Award is presented in recognition of a longstanding contribution to the live performance industry and is bestowed on an individual who has made a truly outstanding contribution to the enrichment of Australia’s live performance culture and shaped the future of the industry for the better. As the esteemed Artistic Director of Australian Chamber Orchestra for the past 27 years and an award winning violinist, Richard exemplifies the spirit of this Award. LPA is proud to recognise Richard for his invaluable contribution to our industry and welcomes him to the prestigious alumni of JC Williamson Award recipients”. The first JC Williamson Award was presented in 1998. Previous recipients include Stephen Page, Paul Kelly, Kylie Minogue OBE, Dr Jimmy Little AO, John Bell AO OBE, Michael Gudinski AM, Barry Humphries AO CBE, Dame Joan Sutherland OM AC DBE, David Williamson AO and Graeme Murphy AM. Richard Tognetti said: “It came as a big surprise to be nominated for this award. I thought this award was for luminaries and I don’t consider myself one of those. I was 10 years old and living in Wollongong when the Australian Chamber Orchestra was cleaved by John Painter and company out of the rock face of what was then the collection of ABC orchestras. The ACO was created with the purpose of giving musicians control over their musical destiny– just 13 of them in the beginning. And now, 42 years later, there are 17 of us and I have been fortunate enough to be Artistic Director of this remarkable group of musicians since 1990. I consider this an award to all my colleagues, not just at the ACO but my many and diverse collaborators over the years”. He began his studies in his home town with William Primrose, then with Alice Waten at the Sydney Conservatorium, and Igor Ozim at the Bern Conservatory, where he was awarded the Tschumi Prize as the top graduate soloist in 1989. Later that year he led several performances of the Australian Chamber Orchestra, and that November was appointed as the Orchestra’s lead violin and, subsequently, Artistic Director. Under Richard's leadership, the orchestra has earned a reputation as one of the leading chamber orchestras in the world. He was Artistic Director of the Festival Maribor in Slovenia from 2008 to 2015. Richard was appointed an Officer of the Order of Australia in 2010. He holds honorary doctorates from three Australian universities and was made a National Living Treasure in 1999. He performs on a 1743 Guarneri del Gesu violin, lent to him by an anonymous Australian private benefactor. 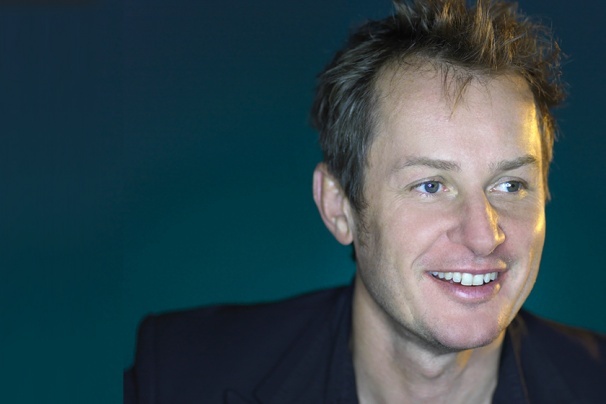 This year Richard Tognetti celebrates his 27th anniversary as the Artistic Director of the Australian Chamber Orchestra.